This is photo #9 (of 50) in a series about our life in Brazil. 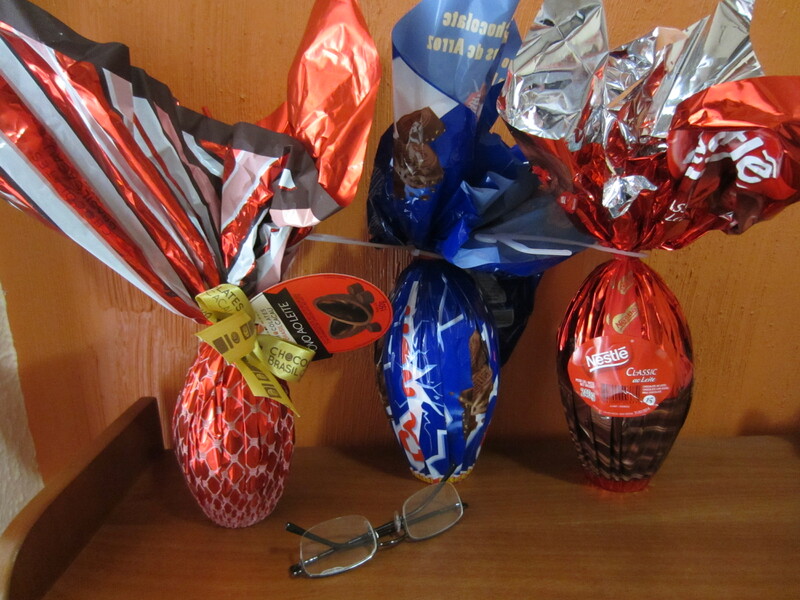 One of the biggest Easter traditions in Brazil is the huge chocolate Easter eggs. 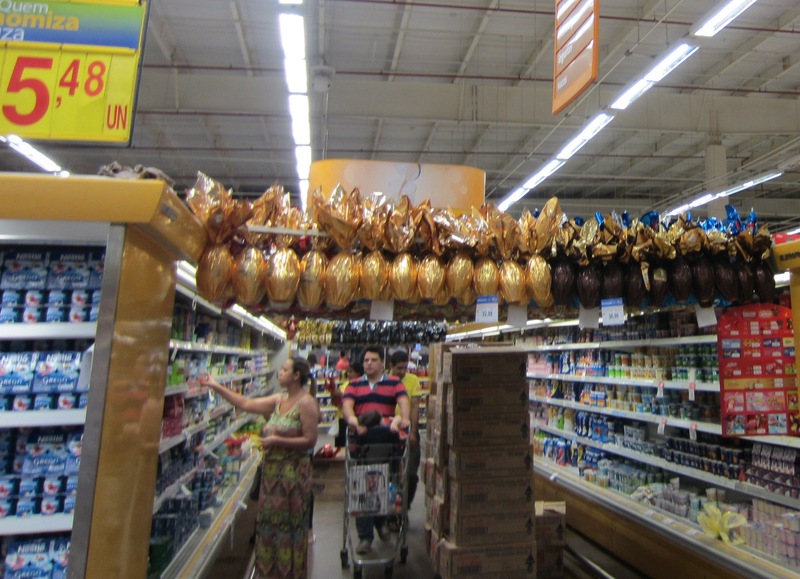 About two months before Easter the grocery stores build a trellis display over the cold food section of the store where they hang the eggs to prevent melting. Our Brazilian friends just made these for their grand kids.